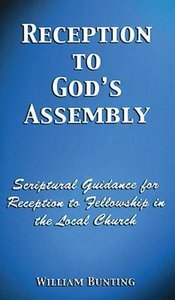 :The guidance offered in this book will be appreciated by all who have a care for godly order in the assembly. About "Reception to God's Assembly"
As a veteran of the Vietnam war, William Bunting lives in New Hampshire. He is married, with two children and two grandchildren. William has two postsecondary degrees: one in architecture and the other in building science. <P>The inspiration for" Tip of the POTUS Spear: The Complex "came from real-world events, combined with the knowledge the United States has thirteen times the power of all other military forces combined. The military industrial complex exists and is active throughout the US military, although it's unlikely the MIC is as murderous as their fictional counterparts.